Finals Week saw some incredible food cooked by some seriously talented chefs. Find out who was crowned the overall winner and how they clinched the title. It might not be Christmas for another few days, but for one chef it must feel like all their Christmases have come at once. After weeks of intense, pressure-filled skills tests and invention tests, all under the watchful eye of Marcus Wareing, Monica Galetti and Gregg Wallace, it was Craig Johnston – a sous chef at The Royal Oak in Maidenhead – that finally clinched the title. At just twenty-one years old (at the time of filming), he’s the youngest ever MasterChef: The Professionals champion. While he’s still working his current job, we can’t wait to see what the future has in store for this talented young chef. Craig, along with other finalists Steven and Louisa, were required to cook a three-course dinner for the judges that proved how far they’d come in the competition. They’d experienced the kitchens of Mirazur in France earlier in the week, one of the world’s most innovative restaurants, and exposure to that level of cooking certainly came through in Craig’s dishes. A starter of torched mackerel with salt-baked beetroot, followed by squab pigeon with pepper ketchup for main and a bergamot marshmallow with lemon verbena and yoghurt mousse with crumble for dessert confirmed the judges’ beliefs that he deserved the MasterChef trophy. But let’s not forget the other two finalists, Louisa and Steven, who are both incredible chefs and are destined for great things in their own careers, too. Steven’s take on ham, egg, chips and peas looked incredible, as did Louisa’s autumnal quail dish. The judges really had to nitpick to find any fault with their plates of food. Perhaps the fat on Steven’s lamb main could have been a little browner, and maybe Louisa’s dessert of chocolate mousse and mint choc chip ice cream was a little too safe. 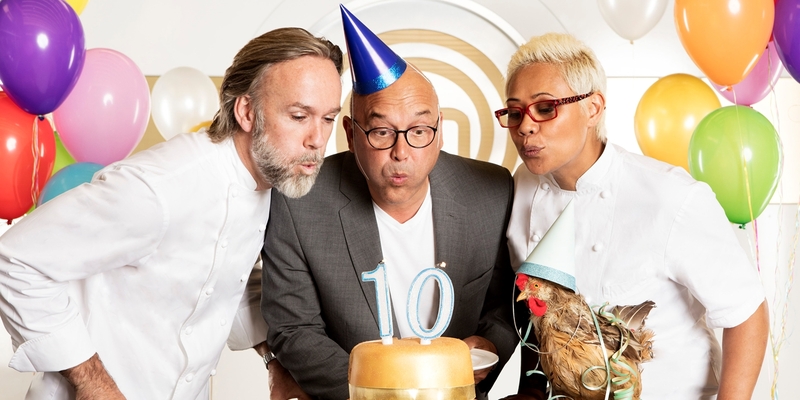 But we think congratulations are in order for all three chefs – to make it through to the final round is no mean feat. After all, cooking doesn’t get tougher than this.